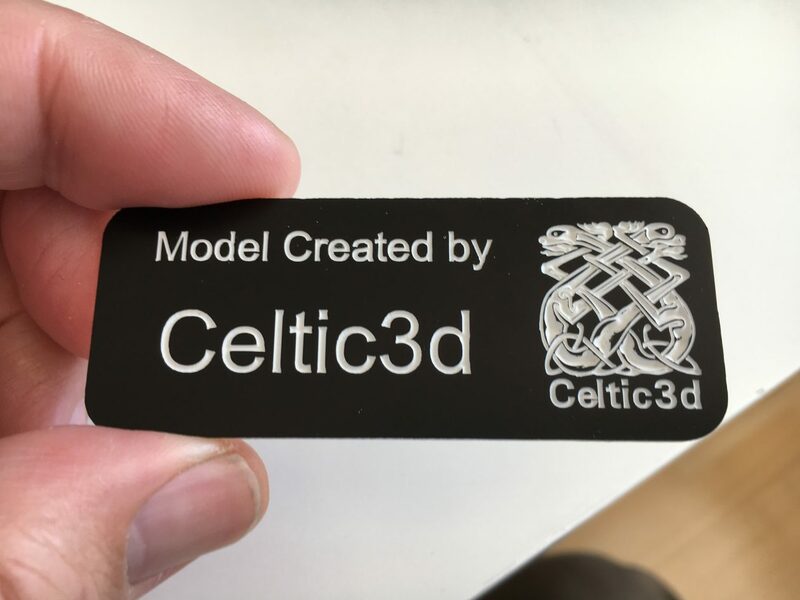 Latest news from Celtic3d relating to our 3d design and 3d printing services, updates on our latest projects, products and capabilities. Please subscribe for updates. We received a lovely note from a customer, Andy, who bought one of our clan crest digital designs. Andy was looking for a way to add a personal touch to a gift for a friend celebrating a milestone birthday. 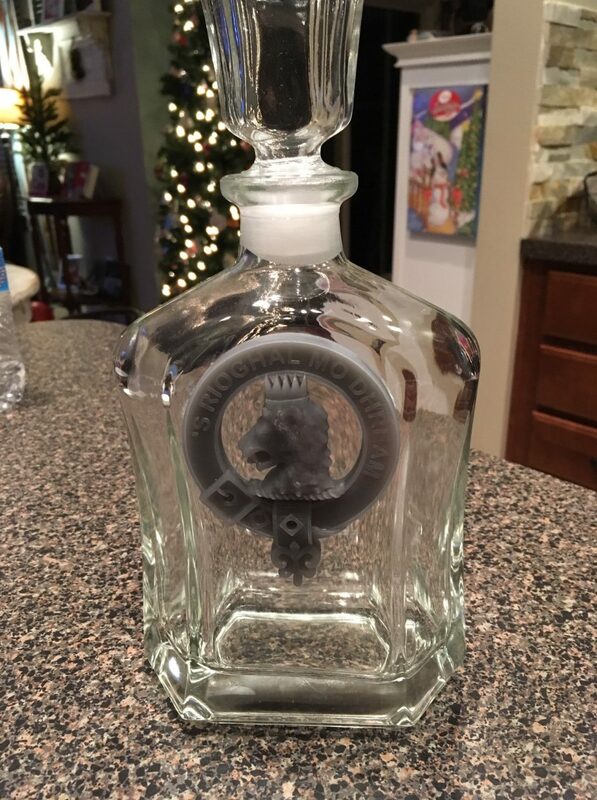 He thought a 3d printed clan crest design would be an ideal way to add personalisation to a decanter filled with his friend’s favourite Islay single malt. 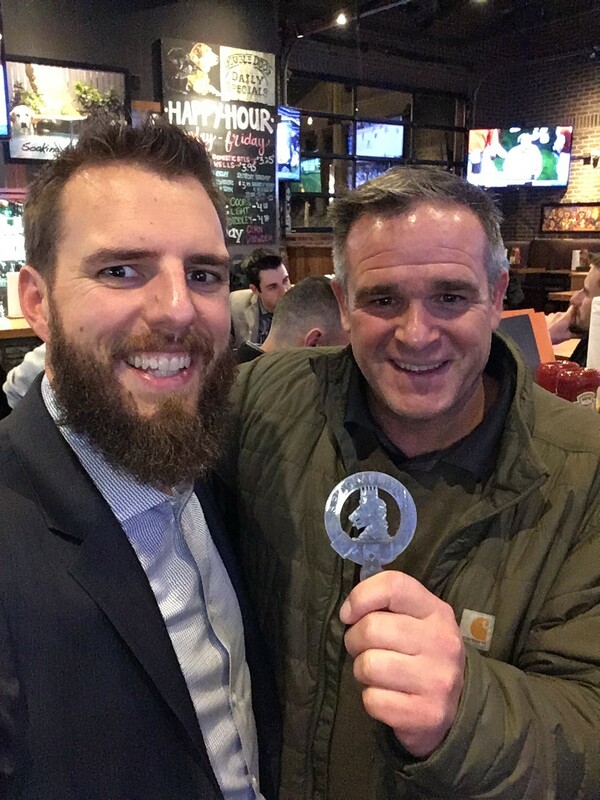 While he had access to a 3d printer, unfortunately, we did not have the MacGregor crest available in our shop, so Andy got in-touch. We were more than happy to create a design for a MacGregor clan crest for Andy. We have since also added it to our portfolio. "Thanks for modeling this crest! He loves it." We have quite a few Clan Crest designs ready to purchase and download. If you would like us to model a Clan Crest not yet in our collection, drop us a line. We would be happy to help. We are delighted to support local charity, Charlie House with a scale model of the specialist children’s care centre they are raising funds to build in Aberdeen. Since we first started supporting Charlie House in 2017, plans have evolved and this is our second version of the model. Our capabilities have evolved too. For this version, we tried out some of our new labelling kit to add some colour and extra detail to the interiors. 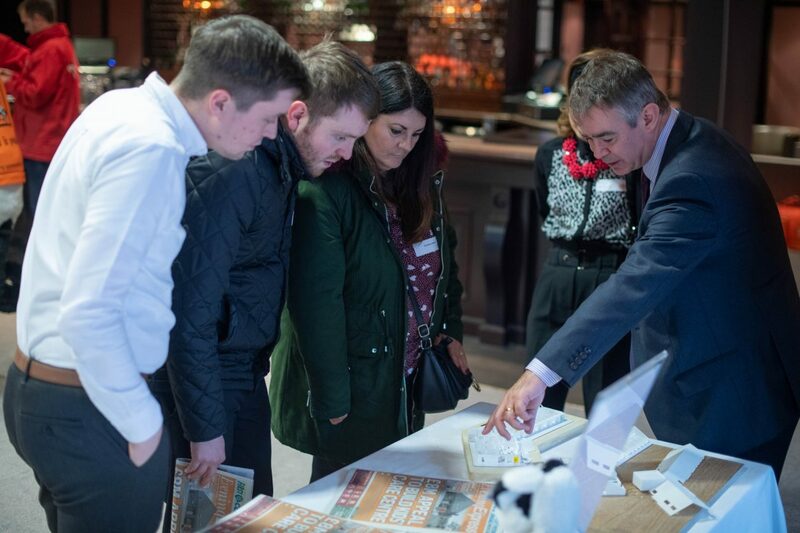 We had the pleasure of attending the Big Build Launch event at The Marcliffe (14th November 2018) and found ourselves seconded onto team Charlie for the afternoon to explain the model (or rather explain the build, using the model) to the crowds at the launch. It was very encouraging to see so many people already engaged to make this project a success. 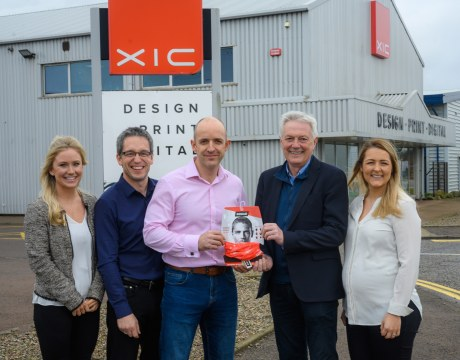 Charlie House are raising £8m to build a state-of-the-art support facility for children with complex and life limiting conditions in the North East of Scotland. It is shocking to think that there are currently no specialist respite facilities within a 100 miles of Aberdeen and families are having to either make long journeys or to struggle through without the help a centre like this can provide. The new building will provide a place for the children and their families to get some respite care. Scale models are an excellent way to engage with stakeholders. 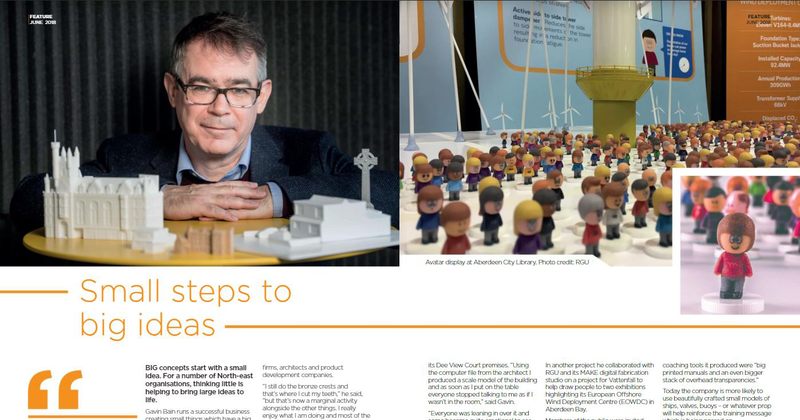 At events (like the Big Build Appeal launch) a model works really well as a conversation starter to engage with people browsing past. Models also work well in 1:1 discussions, they focus discussion on the design and a good model will help you draw attention to the key features you want to highlight. For the model for Charlie House, it was very important that they were able to show the layout and function of the rooms within the building. For this reason, we made sure the roof and first floor could be removed to show the interior. We also created small labels with text and details taken from the architectural plans to show what each room was for. 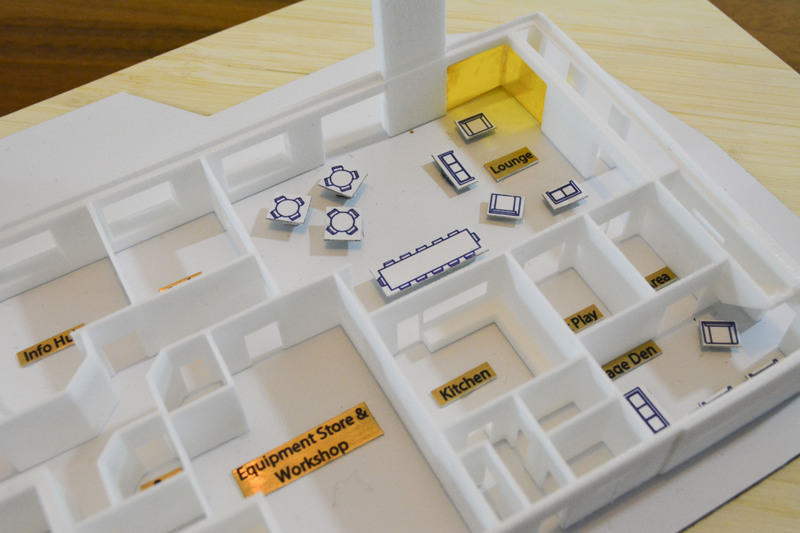 Using the model, you can see how the family rooms are arranged separate but nearby to the medically equipped children’s rooms, how the social spaces are arranged and where the admin and support areas fit in. When showing a bed or a desk, we raised the label up to the correct scale height, which really helped bring the interior to life and helps people relate to the space. Another important architectural detail we needed to include, was the use of tinted glass to create a warm glow in some of the communal areas. For more information and example projects check our architecture page. 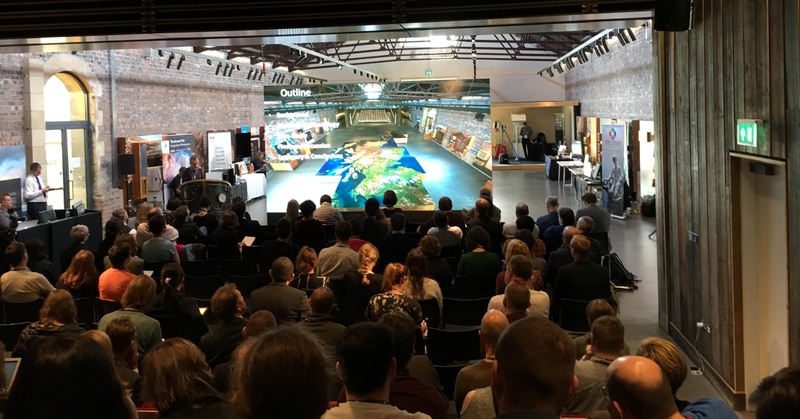 9th to 12th October, 2018, DigiDoc2018 was held at The Engine Shed, Scotland’s building conservation centre. 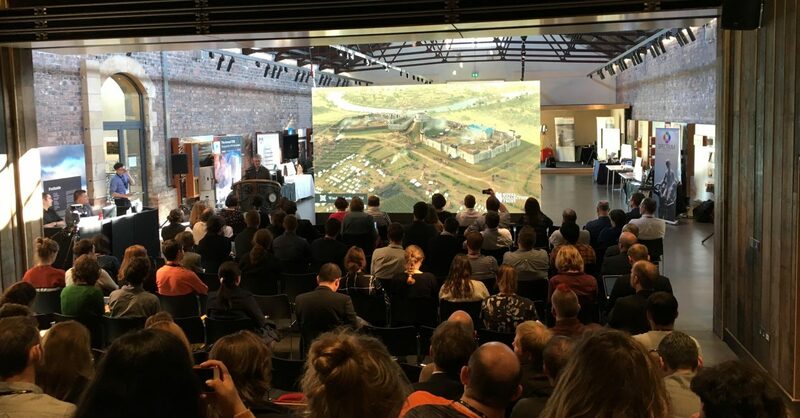 The three-day conference brought together professionals from all over the world using digital technology to document historic buildings and artefacts. We expected to see (and did) lots of laser scanning/point clouds, photogrammetry and VR headsets, but we got so much more information and inspiration than we expected. A very worthwhile few days. 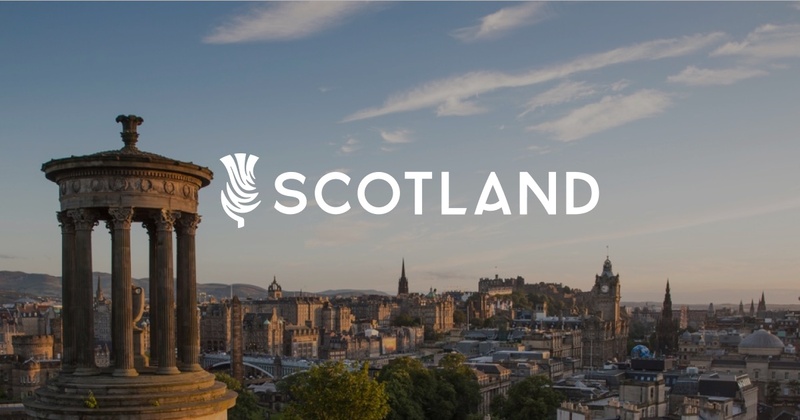 We have a strong interest in Scottish heritage and architecture. We think the models we make as aids for stakeholder engagement for engineering and architecture, could be just as effective at engaging audiences for heritage. So we were keen to use this conference as an opportunity to learn about the needs and requirements of the heritage sector and also meet and speak to some of those involved. Seeing Bob Marshall, who produces stunning historical illustrations, was on the running order, was all the excuse we needed to book our tickets. Bob uses Blender, the same software we use for 3d modelling for his illustrations and we have been long-term fans of his work. Bob’s attention to detail and mastery of his tools sets the sort of example we aspire to. We also hoped to address some key questions we had on how to approach heritage projects. 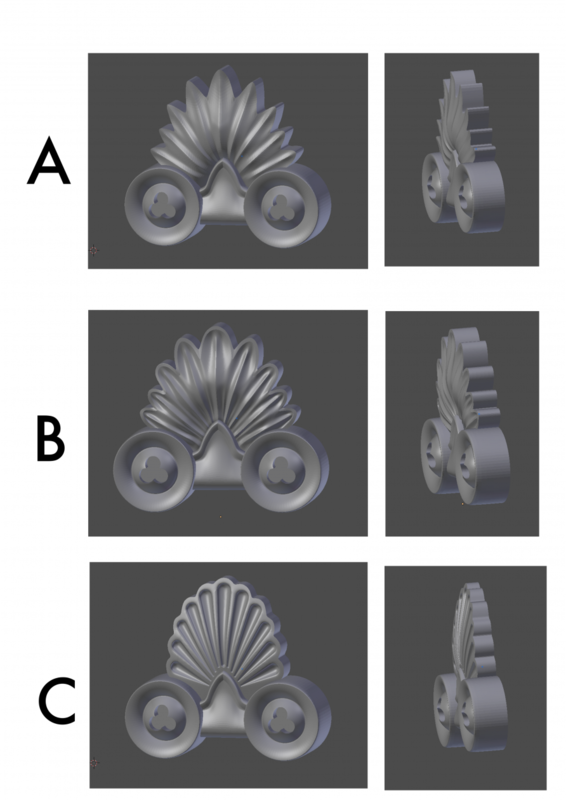 How to balance the accuracy needed to authentically represent historical buildings and artefacts, with the practical compromises often needed to make a scale (or even a 1:1) model? Looking around at who else was attending, there were lots of academics, architectural historians, archaeologists, museum curators, a host of preservation specialists and even the odd biologist and palaeontologist. Mixing with these, an impressive array of leading experts and innovators in CGI, VR visualisation, scanning, technical photography, illustrative arts, storytellers and educators. Much of the content was jaw-dropping and inspirational, and I’m not easily impressed by computer graphics. I am impressed with deep technical knowledge, skill, attention to detail or an ambitious goal and folks with a passion for what they do. That was evident in spades. Leading experts in their fields were there from all over the world. From Bob Marshall’s recent work published in a new book: Windsor Castle: 1,000 Years of a Royal Palace, insights from the Smithsonian on digitising their massive collections. Similar from Fang Li Yu, a senior engineer working on a multi-year project documenting the Forbidden City in Beijing in both 3d and 2d. 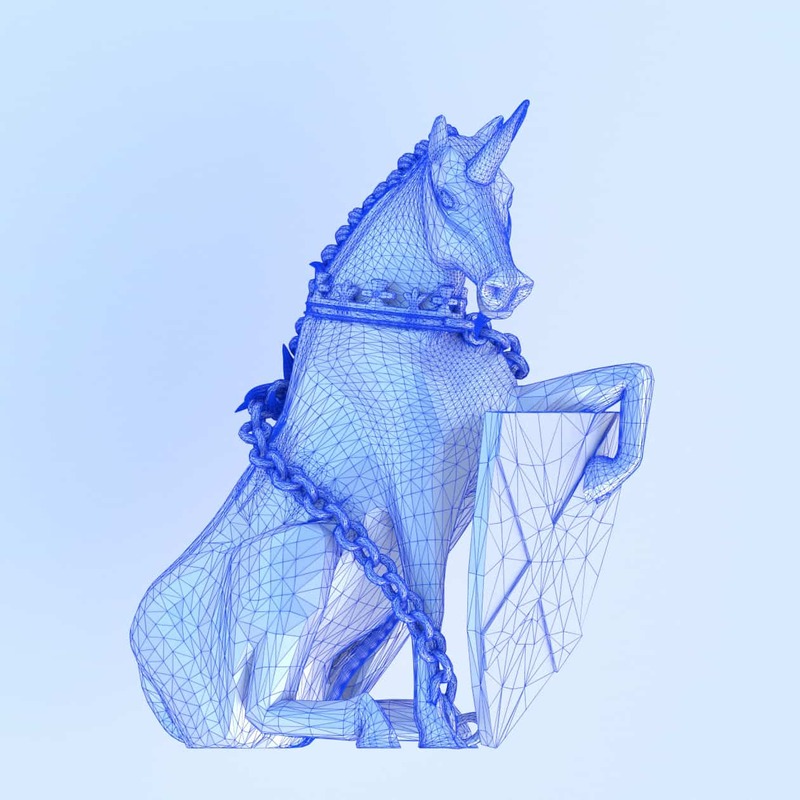 Using 3d printing in the reconstruction of historical musical instruments (Mario Klingemann, Google). Some impressive equipment to automate the digitisation process of both 2d and 3d objects, one involving a conveyor belt system that had lots of curators asking searching questions about the safety of their artefacts (Pedro Santos, Fraunhofer Institute). 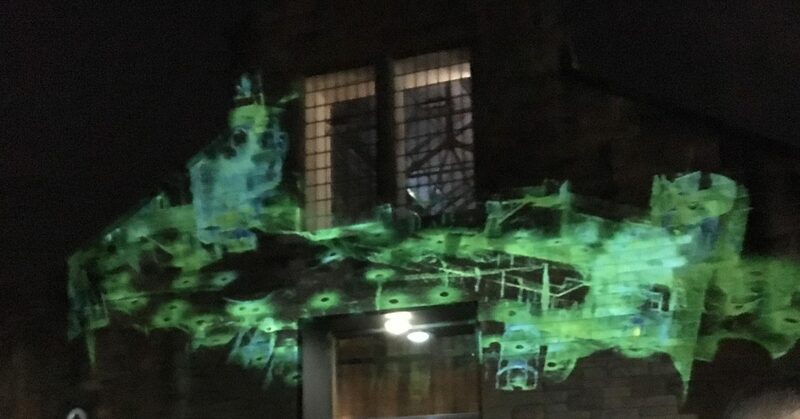 It was also good to hear that the recently destroyed Glasgow School of Art building was one of the best documented (and scanned) heritage assets we have. Hopefully, that means something useful and authentic can be preserved for future generations. 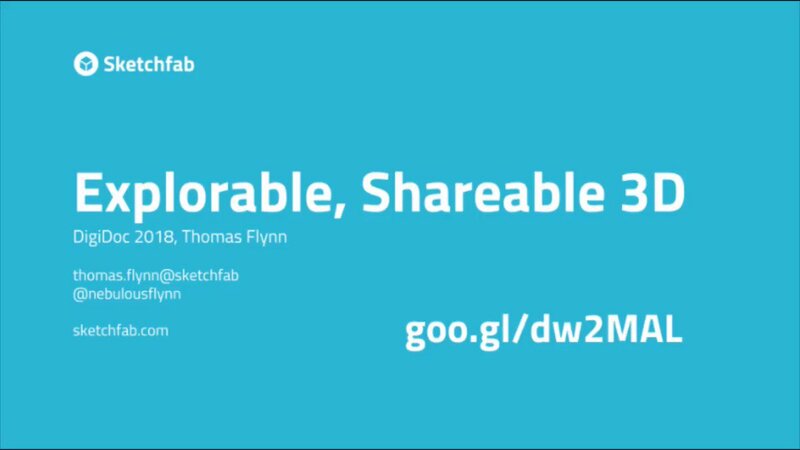 We also enjoyed the session with Thomas Flynn from Sketchfab who reminded us about the API interface allowing direct access to functionality from code. The ongoing lack of a standard way to view and access 3d assets over the Web is a topic that came up in several discussions. We will certainly be taking a fresh look at the current status of Sketchfab. Multiple, interesting sessions explored the use of VR headsets to engage audiences and tell a story. Some innovative ways to make VR a more collective rather than a solo experience. Notably, Martin McDonnell, Soluis showed off their stunning use of planetarium domes and movie-quality visualisations in some of their recent high-end projects. The movie industry was well represented with jaw-dropping visuals and presentation on immersive storytelling from Atlantic Productions and Tippet Studio. The gaming industry, not to be left out, sent Maxime Durand, Ubisoft, who explained his role as the franchise historian for Assassin’s Creed. We also had a passionate presentation on the role of digital and heritage topics in education from Jenni MacKay from Dundee City Council. The most shocking example of the potential problems in the reckless use of 3d printing came in the closing remarks by Professor David Mitchell, Director of Conservation at HES. An image of a carved stone panel where the missing head of a cherub had been 3d printed in bright yellow plastic and stuck onto the panel. The audience (including me) visibly winced. Fortunately, he also had some positive examples, including a 1:1 scale 3d printed column head used as a template for stonemasons. There were many other fascinating speakers I have not mentioned. I’ll keep an eye out for an official write-up and update this post with a link when available. The importance of data provenance. The event underlined our prior view that accurately capturing data and measurements of heritage sites is properly the domain of trained surveyors. Accordingly, we have no immediate plans to get involved with scanning. However, having obtained their data, lots of heritage organisations are struggling to make best use of it to engage their audiences. In that context our services could produce usable 3d models (for 3d print or visualisation) derived from the master data. Common to many industrties, there is an explosion in the volume of data to manage. 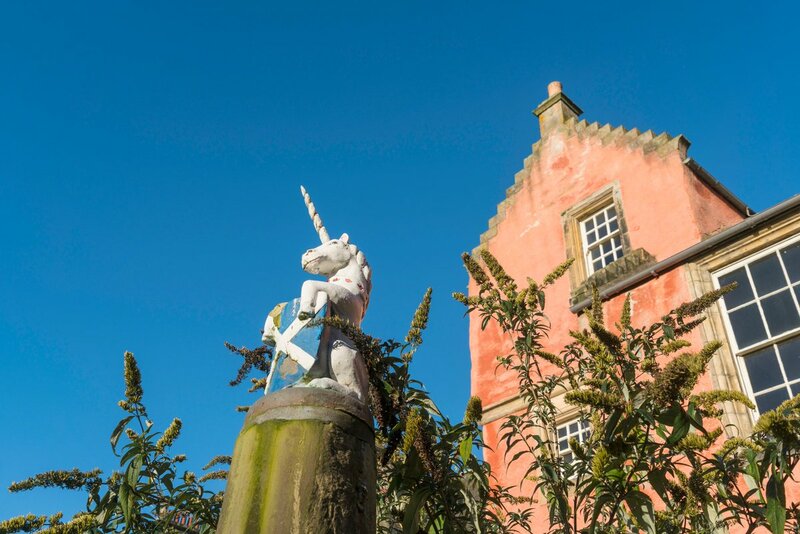 It was encouraging to see BIM principles being adopted within Historic Environment Scotland for the historic buildings under their care. There are many data management challenges for heritage that sounded familiar from our time working in Oil and Gas and it was interesting to hear the discussions searching for frameworks and platforms to address data management. I suspect suitable frameworks already exist in different industries and sectors. Whether the challenge is creating a stylised illustration, a photorealistic movie sequence or a scale or 1:1 model, there are a ton of choices to be made and likely data gaps filled during the process. Working these issues needs to involve expert guidance to ensure the historical accuracy and authenticity of the result. There were some interesting questions raised about the validity of filling in damaged areas of artefacts using 3d printing or some other reconstructive techniques. Sometimes the damage itself tells an important story about the history of the artefact. We note that there was no definitive answer offered, underlining again the need to seek expert guidance. There is a lot being done with VR and AR. Several speakers underlined our view that while undoubtedly immersive, these can be solitary experiences. We saw some impressive (but expensive looking) dome solutions for groups of people. It seems to us that scale models and replica artefacts may have a useful place augmenting other approaches to tell stories and engage audiences. The conference far exceeded our expectations. Perhaps coming from a corporate IT background, I am just not used to so much glitz and glamour associated with highly technical topics. Although I got some answers to the questions I arrived with, the conference planted many more new questions and quite a few new ideas we look forward to exploring in the coming months. Good opportunity. Pedro demonstrated some amazing tech at the #digidoc2018 conference. Since Make Aberdeen closed in March, we have been working on ways to close the gap caused by the loss of direct access to laser cutting facilities. We frequently incorporate different materials and manufacturing techniques in our models, especially for engineering and architectural models. it was important to find a way to continue to be able to do this going forward, especially the ability to accurately cut sheet materials like acrylic/Perspex. 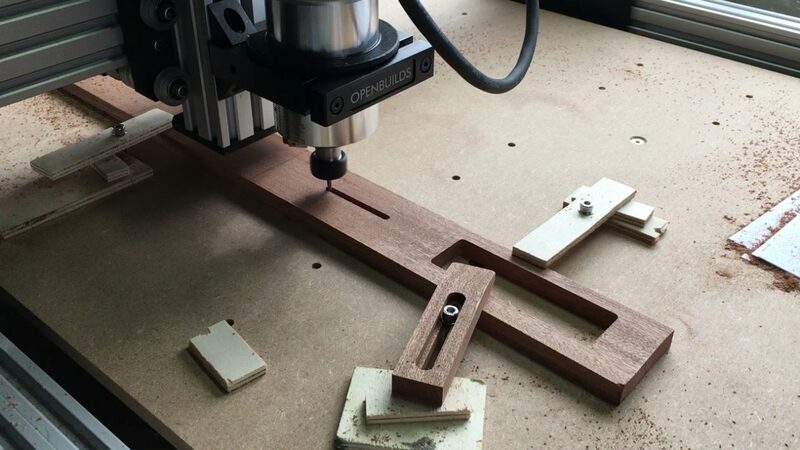 We looked at several options including laser cutting machines but settled on a CNC machine from Ooznest as the option that would give us maximum flexibility. 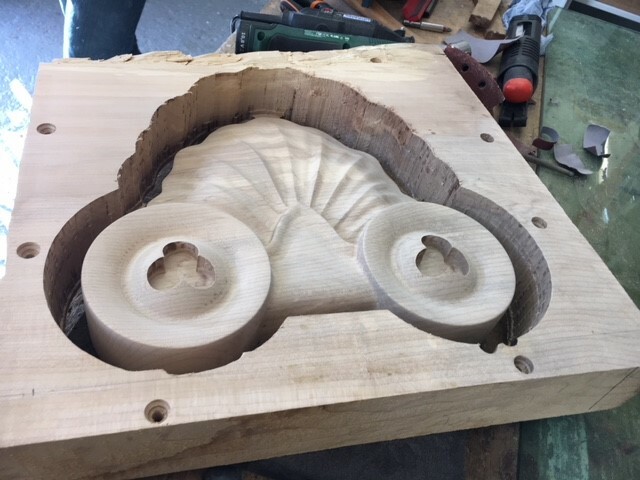 A CNC machine could not only cut flat sheet, but carve shapes, opening up some interesting new possibilities. Combined with 3d printing, we would have the option of using both additive and subtractive techniques, whichever best suited the job. The Ooznest machine, the “WorkBee”, is based on an Open Builds design which fits well with our preference for open source solutions. The WorkBee comes as two large boxes of components which you have to assemble yourself. We went for the 750mm x 1,000mm screw driven version with a Makita router to do the cutting. The quality of the kit and the clarity of the assembly guides from Ooznest was excellent. Support is also excellent, we needed to phone for one missing part which duly arrived the next day. In principle, the operation of a CNC and the steps needed to prepare a file is very similar to that used for a desktop 3d printer. Instead of a nozzle laying down melted plastic layer-by-layer, a very similar setup guides the tool mounted in the router to cut material away layer by layer. 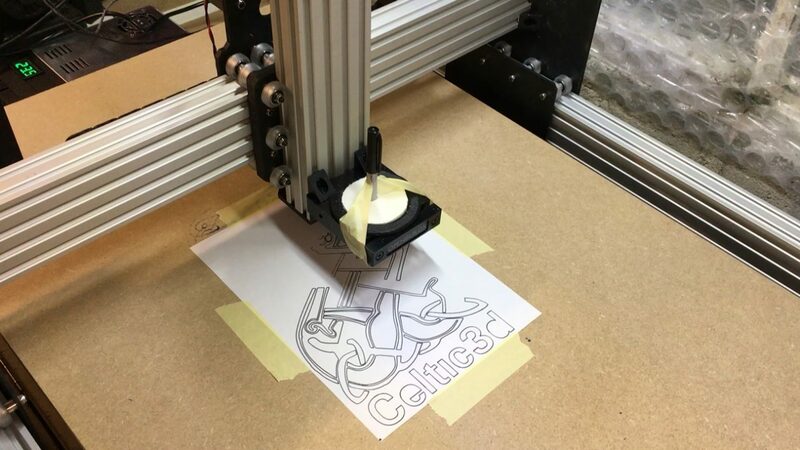 For initial testing of the machine, and until we got to grips with basic operation, we took the safe option by mounting a Sharpie pen to the machine and had it drawing out our logo on paper. However, the first order of business for the new machine was to make myself some hardwood hold-downs to securely hold material on the machine bed. The main software tools we use for creating designs for 3d printing are Blender for mesh modelling and Autodesk Fusion 360 for CAD models. The 3d model files output by both can be used for CNC machining. Fusion 360 includes functionality for CAM (computer assisted manufacturing). Once you have the design (created in Fusion 360 or an imported mesh created in Blender) Fusion 306 can generate the toolpath files to send to the CNC machine. There is a bit of set-up to ensure Fusion 360 has accurate information about the tools you have but there is a lot of information available online on how to set this up. We found this straightforward although there is a bit of a learning curve, and Fusion 360 includes a simulation mode where you can preview how the tool will cut out your part before you commit the job. The CNC machine needs a PC to stream the toolpath commands to it during operation. The toolpath commands are in a language, G-Code, which is the same language our 3d printer uses. To avoid having to take a laptop into the workshop every time, for convenience, we added a Raspberry Pi running bCNC which is permanently mounted next to the CNC. bCNC is a lightweight G-Code sender that works well on a Raspberry Pi. We tried getting the Java based “Universal G-Code Sender” to work, but for the Raspberry Pi we would have had to compile our own build from source code and, frankly, life is too short for that hassle. It will be interesting to see how we can use our existing digital designs (created for 3d printing) with the CNC and how we can incorporate different combinations of materials made possible with this new capability. 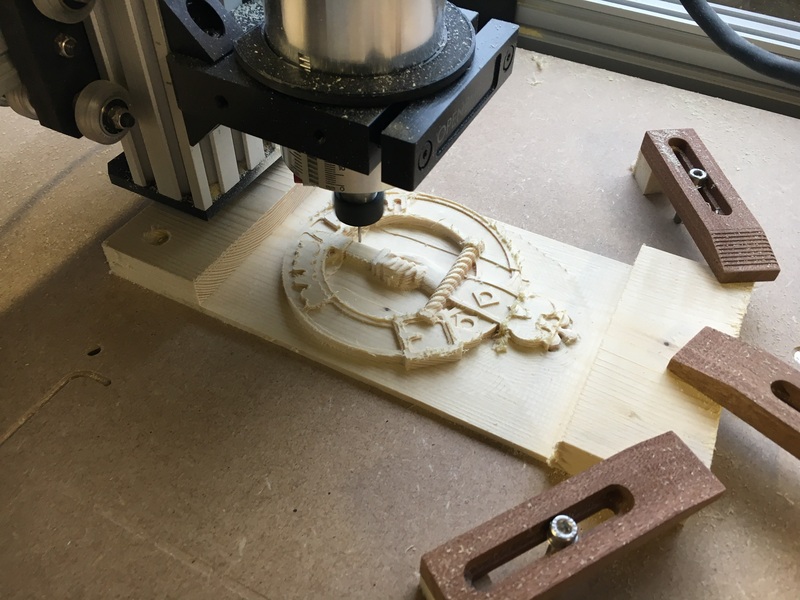 We are already getting some excellent results with engraving that are sharper and better defined than we managed in the past with laser engraving, we have also experimented with machining some of our Clan Crest designs from wood with impressive results. One of the most enjoyable aspects of working on bespoke designs is the variety of projects across a wide range of industries. 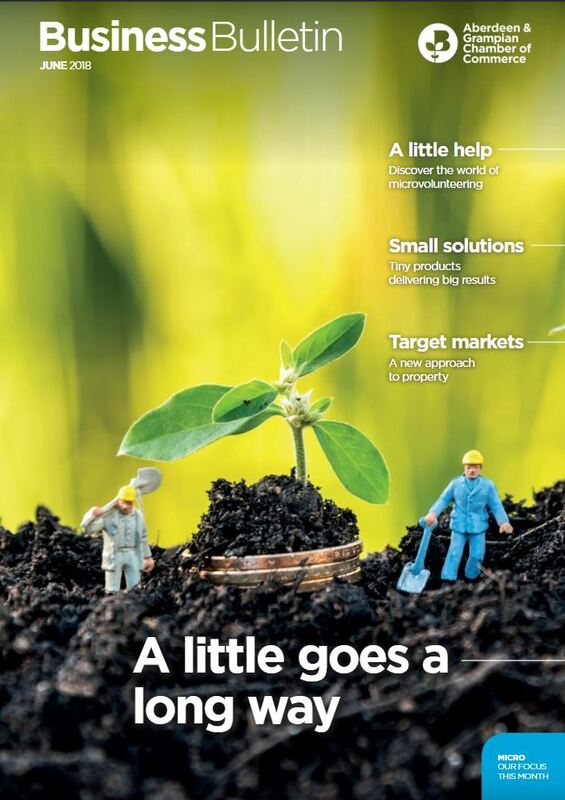 In February, a particularly interesting enquiry hit our inbox. 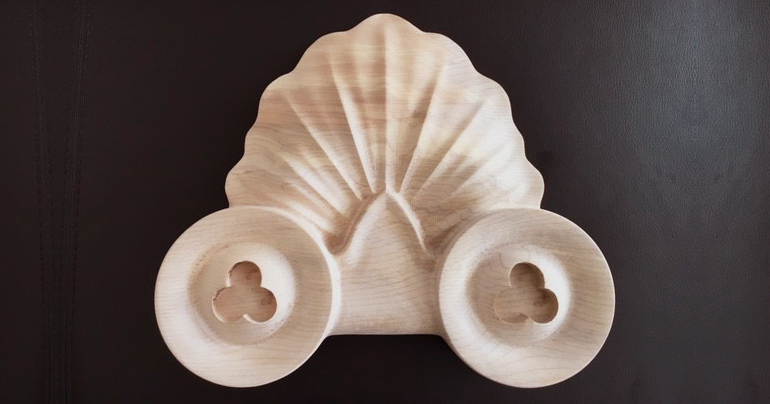 D&D Gowans, Property Developers, asked if we could re-create an architectural detail (an anthemion mould) from photographs. The development is in Union Street, once Aberdeen’s glittering mile but today needs a clean and sorely needs the sort of investment this development is providing, however, as a conservation area, any changes to the frontages along Union Street come under the close supervision of the Heritage Trust. We got a sneak preview of the work in-progress on the development. The quality and finishing of the interior is exceptionally high-end. The ground floor will be a hairdressing salon and the apartments above are already full of beautiful ornate plaster, high-tech ventilation, heating and appliances and finely crafted to the smallest detail. Our solution would have to meet some very exacting standards. Could we create a design from an old photo reference that would win the approval of the Heritage Trust and could we also get it made to a high standard in a suitable material? 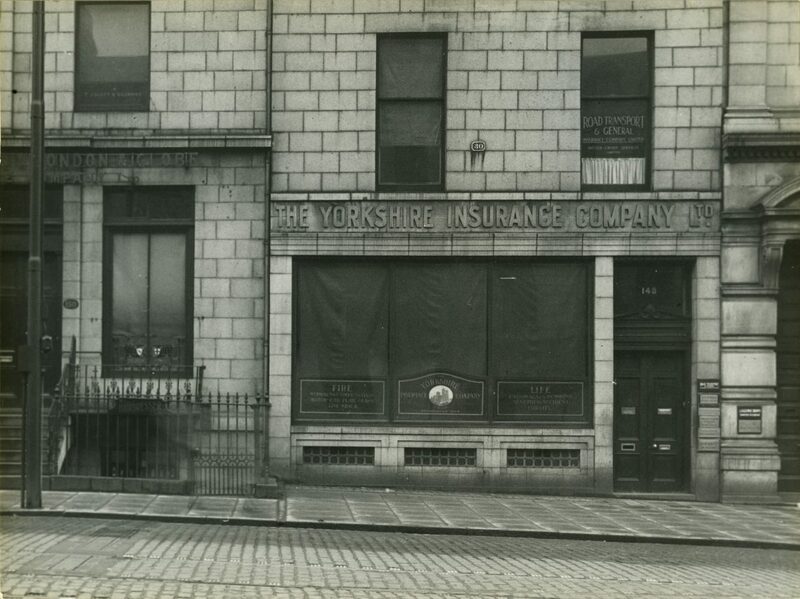 The reference images show the frontage in the early 1900’s. 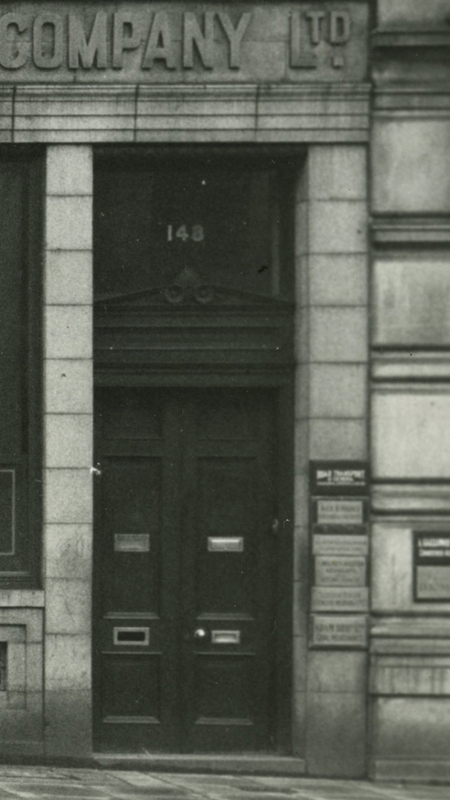 The front of the building has been altered over the years into quite an ugly shop-front. The current development has already restored the original window and door proportions and the development is already a huge improvement. The missing piece was the wooden moulding above the door – an Anthemion Mould comprising of two roundels and a leaf design. The granite blocks shown in the photo are a known size, so figuring out the size of the mould was straightforward. The Heritage Trust provided a rough sketch of what was required. While we often use CAD software to process engineering files, this project called for more organic modelling techniques. 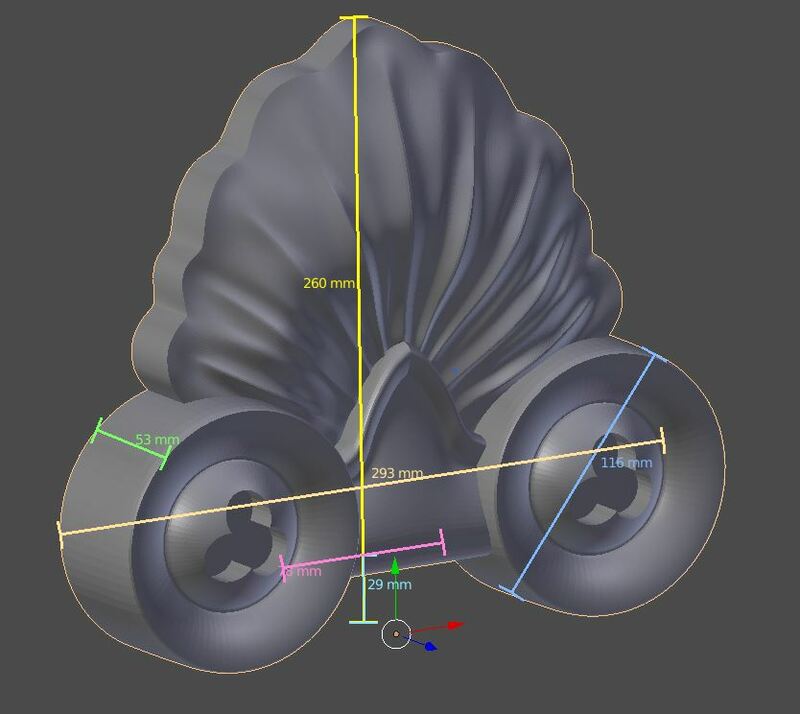 Our tool-of-choice for this sort of work is Blender, an open-source 3d creation suite. A significant advantage of a digital design process is the ease and speed that changes can be made. This facilitates an iterative process where options can be developed and feedback incorporated. 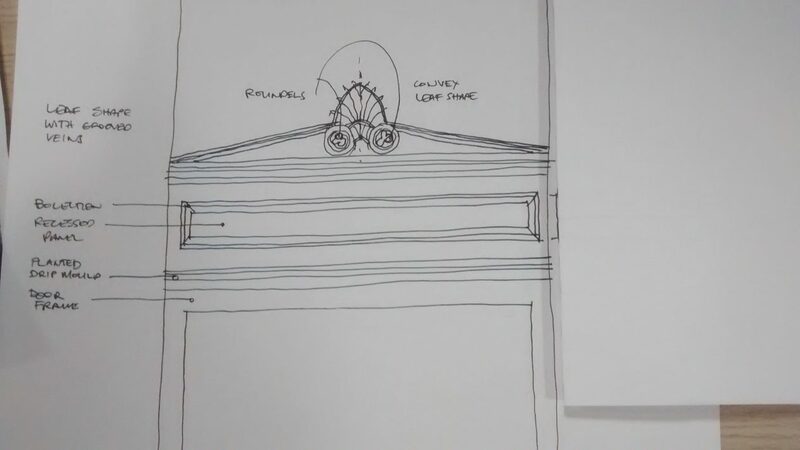 An iterative approach was especially useful for this project where we needed to incorporate feedback, reach agreement and obtain sign-off not only from our client, but also the Heritage Trust. In the space of a week, we were able to iterate through 5-6 versions, incorporating feedback at each step. To manufacture the mould, we needed to find someone with a CNC machine that could mill the shape from a solid block of suitable material. 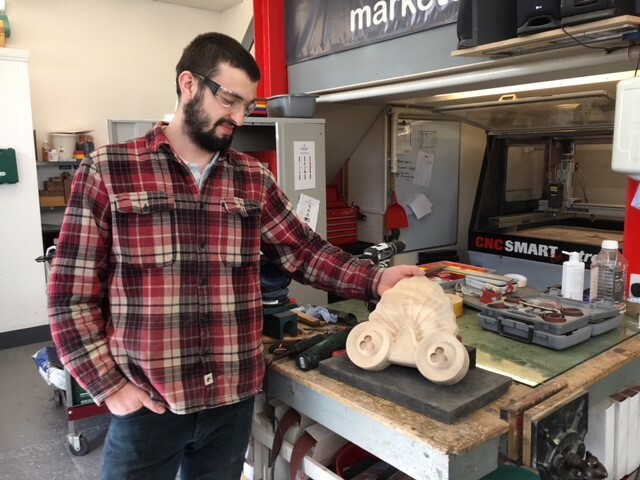 Our friends at Marketec turned out to have the perfect solution, a CNC machine that could handle the job, the capability to handle digital model files, and they also have stock of Scottish hardwoods. 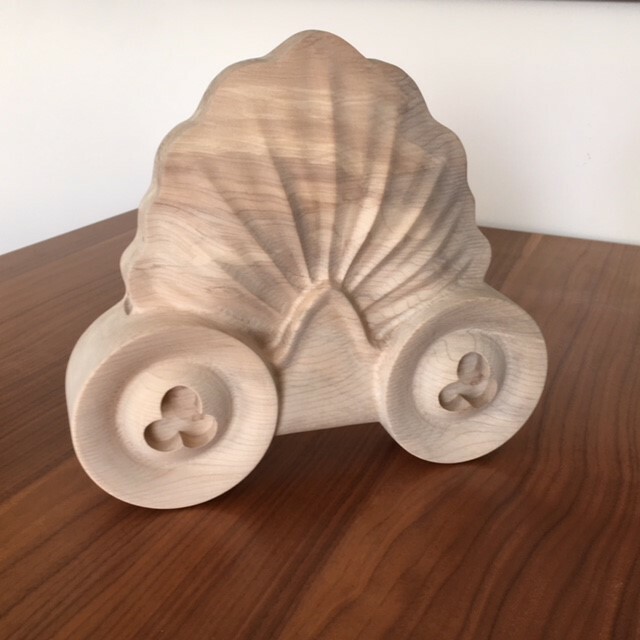 Celtic3d provided the finalised design, Marketec then manufactured it by milling the shape out of a piece of Scottish hardwood. The result is very tactile, and the wood is beautiful, almost a shame to paint it. We are already thinking about repeating the process for some interior pieces that could be oiled to show off the wood to its full effect. 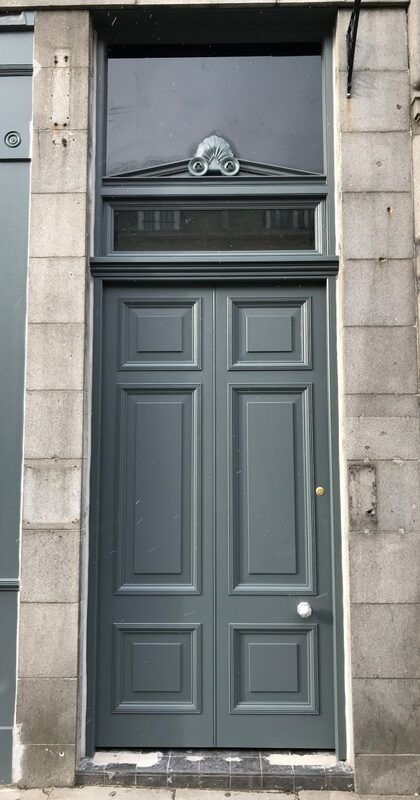 The joiners added the intersecting runners and installed the finished Anthemion Mould above the doorway and painted it to match in with the rest of the woodwork. 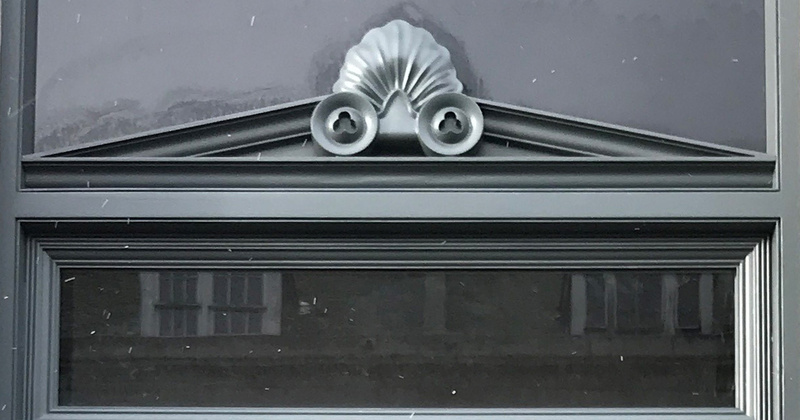 If you are passing number 148 (between the Monkey House / Chaophraya and Eclectic Fizz / Ici’s) you can see the doorway with its original architectural detail restored. We are delighted to see at least one small part of Union Street is being returned to its proper state.